Tacloban City Vice Mayor Jerry ‘Sambo’ Yaokasin inspects a hub in the city which utilizes on renewable energy. TACLOBAN CITY- Vice Mayor Jerry ‘Sambo’ Yaokasin this city lauded the launching of RE (Renewal Energy)-Hub, a community resource center on renewable energy and sustainable solutions by RE-Charge Pilipinas. 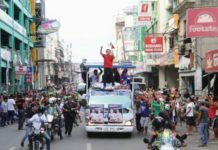 “As the ground zero of supertyphoon Yolanda, it is imperative that Tacloban City leads in championing renewal energy against the use of fossil fuels that harm the environment and contributes to global warming,” he said. The launching of the community resource center is for the people to get information regarding renewal energy, its importance, and options for households, businesses and local government units, Yaokasin added. In June 2014, the Institute for Climate and Sustainable Cities (ICSC) formally inaugurated RE-Charge Tacloban to show how renewable energy could aid in disaster response and reconstruction in the aftermath of Yolanda’s onslaught. ICSC said the facility is powered by a 9.75-kilowatt hybrid solar power system that provides most of the facility’s electricity needs. 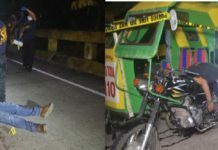 It was integrated with a sustainable transport initiative in the form of electric jeepneys (e-jeepneys) and recovered bodies of multicabs that were converted into e-multicabs, it added. In a statement, ICSC said that Re-Charge Pilipinas has also reached as far as Cagayan Province in north Luzon, in communities surrounding Laguna Lake in Laguna and Rizal Provinces, and the remote island communities of Polopina, Concepcion, Iloilo. 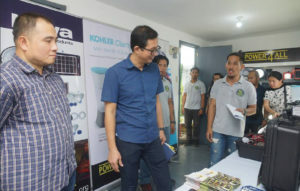 “Located within the RE-Charge Pilipinas facility, the hub is a place where people can inquire about appropriate RE systems to address their household and community needs while renewable energy technology providers showcase their products and services,” according to ICSC.